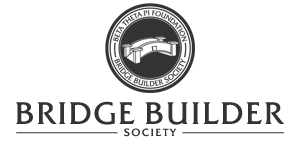 The Bridge Builder Society is reserved for Betas and Friends of Beta who have chosen to leave a legacy for the future of Beta Theta Pi through their will or estate plans. 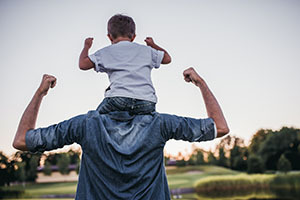 More than 225 Betas and Friends of Beta have made the Beta Foundation beneficiaries of estate gifts such as bequests, life insurance policies, charitable remainder trusts, charitable gift annuities, living revocable trusts, or various retirement plans. Charitable Bequest - Include language in your will or living trust that leaves cash, securities, property or a percentage of your estate to the Beta Foundation. (for sample language, click here.) Thanks to a partnership with Beta Theta Pi you can now make a will in 20 minutes or less and it's completely free of charge. Just click on the icon below to get started. Retirement Plan Beneficiary - Name the Beta Foundation as a beneficiary of your 401(k), IRA or other retirement plan. Life Insurance Policy - Name the Beta Foundation as the owner and/or beneficiary of a life insurance policy. If you would like to join The Bridge Builder Society, simply complete the Planned Gift Verification Form and mail it to the Beta Theta Pi Foundation at PO Box 6277, Oxford, OH 45056. If you would like more information about The Bridge Builder Society, or would like to discuss other planned gift options such as charitable gift annuities, charitable remainder trusts or gifts of property, please contact Foundation Director Jonathan Brant, Miami ’75, at 317.319.5510 or jonathan.brant@beta.org.